Rated PG-13, for the donning of gory suits..
First published in Spook Lights: Southern Gothic Horror. 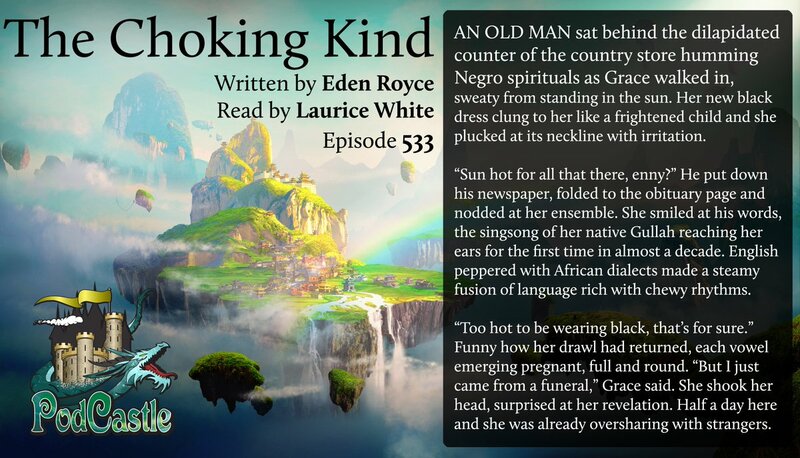 Laurice's narration brings this beautiful story to life. From the flow of the prose to the way the environment is reflected in the characters, this was a wonderful listen. I've been playing a Changeling in my pena and paper Pathfinder campaign, who someday will level up into a hag who can tear off her skin and fly around in a ball of fire, so this was really fun to listen to! I loved following the protagonist as she unraveled her family secrets. Very enjoyable. A new take on a classic story.